This is a very popular Ice cream point-of-sale advertising model. 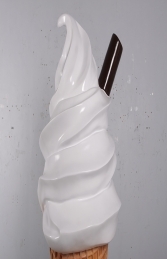 This 6ft Whippy Ice Cream is an excellent eye catching model. 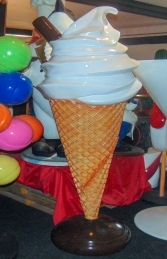 The 6ft tall replica Ice cream is fully 3D; the model is made of high-quality, durable cold cast poly-resin and fibre-glass not plastic, and well cared for will attract customers for many years to come. We do recommend that the ice cream statues should be lacquered or varnished if used outside. 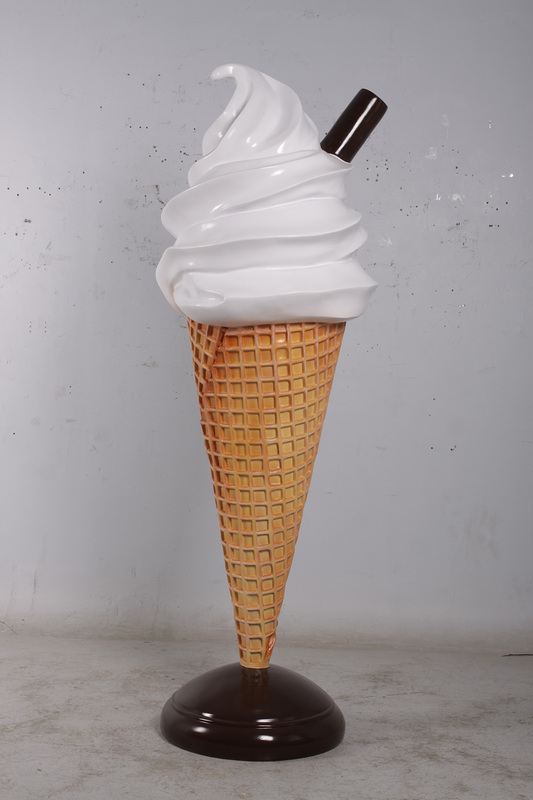 This 6ft Ice cream model will be sent via a pallet service to you for £40 approximately (to any mainland UK address). 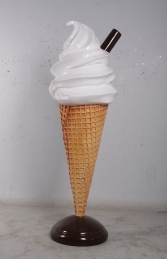 Please call with your post code to receive an exact price for your ice cream model delivery.